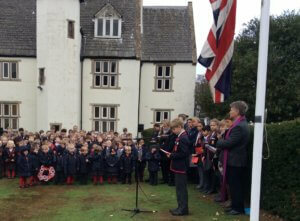 The Grace Dieu community gathered on Friday to mark the 100th anniversary of the ending of the First World War. 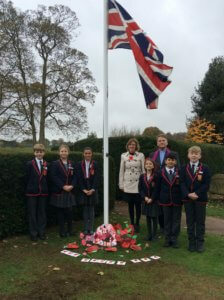 We were joined by bugler and good friend of Grace Dieu, Mr Steven Reeves, who played the Last Post as the Union Jack was lowered. 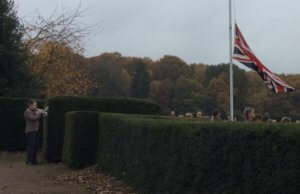 As we stood in silence hearing only the twitter of birds and the rustling of leaves in the wind, it proved a very poignant moment for all present. 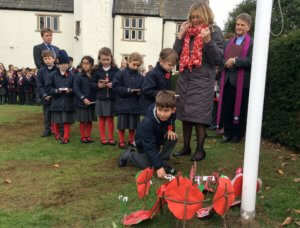 “Our Remembrance Service is always a special time at Grace Dieu and especially on this the centenary of the Armistice – the end of the First World War. 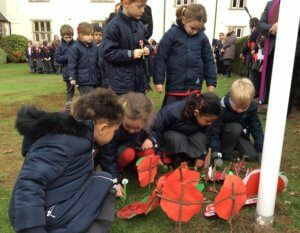 I am so proud of the children’s behaviour on this day and it is wonderful to see how well they engaged in the service as well as all the preparation they did beforehand to make it so meaningful,” says Headmistress Mrs Margaret Kewell. 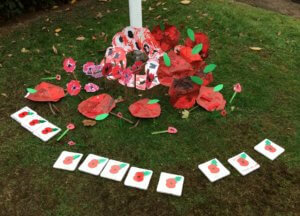 This year our youngest children have been busy engaging in lots of ‘poppy’ art, creating ‘We will remember them’ keepsake tiles as well as poppies to place around the flagpole and including a wreath from the Cygnets and this wonderful display of poppy themed transient art. 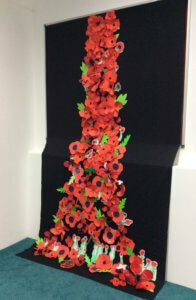 Reminiscent of the poppies at the Tower in London, every pupil at Grace Dieu contributed to a beautifully flowing display of poppies now on display in The Hub – please do go and take a look. 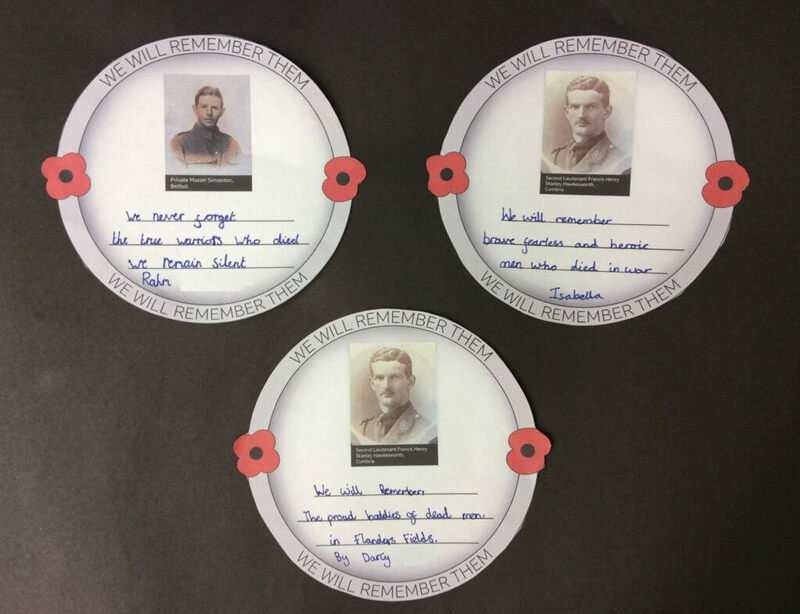 Some of our pupils also reflected on the First World War through creating their own Haiku poems. 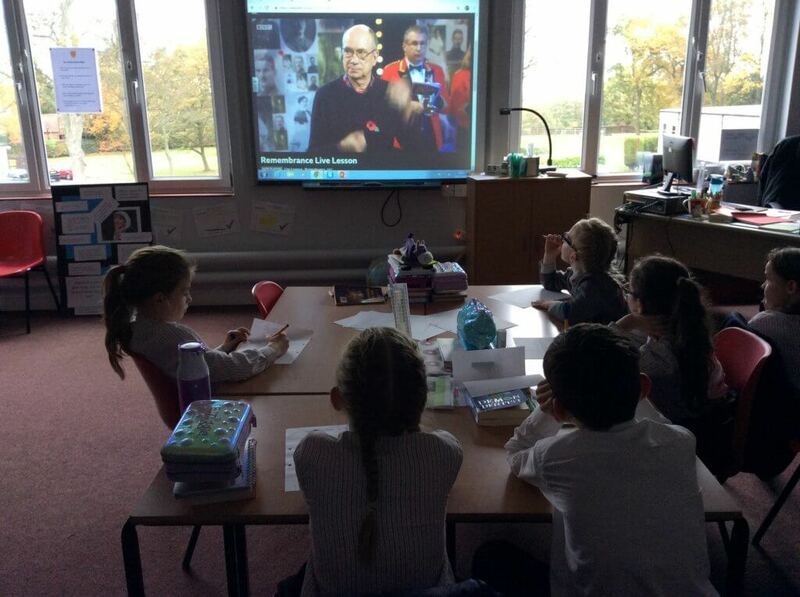 The children in KS2 have been learning more about Remembrance through comprehension work and in the afternoon they joined in with the BBC’s Live Lesson on Remembrance, hosted by BBC Breakfast’s Naga Munchetty and CBBC’s Ben Shires, also featuring special guests including author and poet Roger Stevens and Charlotte Czyzyk, historian and project manager for Lives of the First World War at Imperial War Museums. 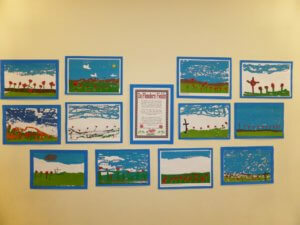 The Live Lesson explored the themes of remembrance and commemoration, and encouraged the children to reflect on the end of the war. 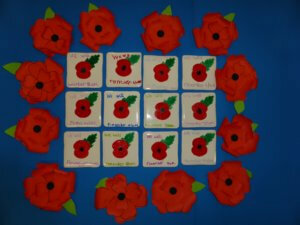 Inspired by real people, this lesson aimed to get our pupils asking the questions: What is remembrance? 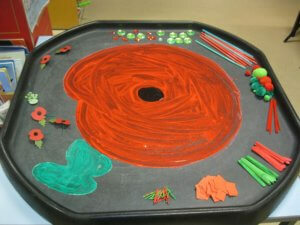 How do we process and remember important world events?